When I was a child, being creative was easy. All I had to do was pick up a crayon and apply it to a blank piece of paper to express what I had in my head. As adults, our creative visions need more than crayons and paper, they need prime lenses and a steadicam. That ish costs money—and lots of it! Whether you’re making a feature film, web series, or documentary, you need a lot of cash; cash that young filmmakers don’t usually have. In fact, I think I just passed a director on the freeway with a sign that read: WILL WORK FOR EQUIPMENT. Honestly, I might be the next guy holding a sign on the freeway cause a brother needs some help getting his film done. Okay, that might be too radical (even for me), but here are five additional ways to fund your dreams. Pull off an elaborate bank heist. Now that 1% of the people reading this are eliminated, lets focus on the plan for the rest of us: CROWDFUNDING SITES! Crowdfunding sounds like something that would involve rocking out at Coachella, passing around a basket, and asking the “crowd” to help you raise “funds” for enough gas to drive back home in time to make your morning class. I may actually try that type of funding from a crowd the next time I attend a concert, but as it relates to trying to get your project off the ground, “crowdfunding” is something very different. It’s the practice of funding a project or venture by raising small amounts of money from a large number of people, typically via the internet. With the rise of social media, this has become a realistic and often used path for independent filmmakers. A lot of celebrities have also turned to crowdfunding sites. They’re turning their backs on the traditional avenues of financial support for their projects (such as partnering with a movie studio or production company) and have turned to crowdfunding sites instead. 1. ) In 2015, producers of the film Super Troopers used the Indiegogo platform to raise $4,593,200 (and counting) for Super Troopers 2, their sequel to the 2002 cult classic. Their initial campaign target was only $2,000,000 so they went far beyond that goal. Super Troopers 2 raised a new Indiegogo record. The film is now scheduled to be released in 2016. 2.) In 2014, Zach Braff’s crowdfunded comedy-drama Wish I Was Here opened in theaters. He directed, co-wrote and starred in the film and although his Kickstarter campaign target was $2,000,000, the amount he raised was $3,105,473. 3.) 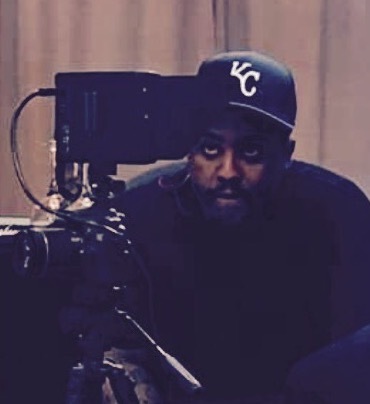 In 2013, self-proclaimed indy-filmmaker-for-life, Spike Lee (director of Malcolm X, Chi-Raq, 25th Hour, Inside Man, Jungle Fever, and many more) also utilized the Kickstarter platform to raise money for an untitled romantic horror comedy. His campaign target was $1,250,000, but he surpassed that amount and raised $1,418,910. 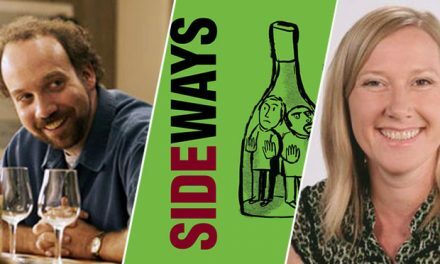 These (plus who can forget the record-setting Veronica Mars) are just a few examples of celebrity-driven projects that were produced with crowdfunding sites’ dollars, but this platform is big enough for everyone with all types of ideas. 1.) In May 2016, an investment project called The Dao raised more than $117 million; their initial campaign target was only $500,000. It was a major coup, because The Dao is not only the second biggest crowdfunding project in history, it’s also one of the first to fund an entire corporation. 2.) In 2015, creators of Pebble Time, the third-generation smart watch, also had a campaign target of $500,000. The donations began to roll in and before they knew it, the amount raised totaled $20,338, 986. As a result, The Pebble Watch itself became one of the highest backed Kickstarter projects to date. 3.) In 2014, the company, An Hour of Code for Every Student launched their charitable efforts to ensure that every child have the opportunity to learn computer science. They had a campaign target of $5,000,000 and raised $5,024,261. Indiegogo and Kickstarter are two of the more popular crowdfunding sites, but they have slightly different features. For instance, with Indiegogo you have 30-45 days to meet your fundraising goal, but if you fall short, you get to keep the money raised; but you’ll have to pay Indiegogo 9% plus 3% for credit card fees. If you reach your fundraising goal, you’ll only have to pay Indiegogo 3% of the monies raised. Kickstarter has a different set of rules. If you meet your funding goal, Kickstarter gets 5% plus a 3-5% fee that goes to Amazon.com for processing. But, if you don’t raise the desired funding goal within your set timeframe, you don’t get funded—in other words, you don’t get to keep any of the money. But not to fret, if you don’t reach your goal, Kickstarter doesn’t get paid a percentage either. With crowdfunding, you’ll have a broad reach to prospective backers, so just like with any production, you should identify your audience / target market. By identifying your audience, you can further break down your prospective backers into niche segments (such as age, location, work occupation, etc.) This will help you set realistic expectations for what can and should be offering. Now, it’s time to drive home the reward and you can easily do so by creating “buzz” with your crowdfunding incentives. Setting a limited amount for select incentives will create a sense of urgency, because once something “sells out” there is no second chance offer. You can also keep the interest peaked of prospective crowdfunding backers by providing new incentives – in the form of updates. The least you can do is give your backer a copy of what they’re investing in. Give them a DVD or digital copy of your project and make it a keepsake by signing your name and possibly including the names of your fellow filmmakers. Just make sure you factor in the time and money to actually author, manufacture and ship ANY type of media. Because remember, you can’t deliver on this incentive until your film is actually finished. Though this might seem like you’re giving up part of your baby after you’ve been slaving away writing this script for the last three months, ask yourself: Would one line for a local Extra really change the course of your award winning script? If you don’t trust them with a line in your movie, but they happen to be in town, make them an extra. No reason why your one hundred dollar backer can’t be taxicab driver #1. Imagine having the knife from Psycho, or one of the tires from Back to The Future’s Delorean. Scripts, props, jewelry, artwork and anything “shippable” could be up for grabs. So make a list of everything on set and start strategizing on how it could fulfill a double purpose. The moviemaking process is a lot different than what most people think. Invite your backers into the world of production by giving them behind the scenes footage. The great benefit of using such footage is that unlike having to wait for the finished film, this type of “self-contained” footage can be immediately sent to your backers. Wine and dine your very important backers by giving them an opportunity to network and party on your dime. People love it when you feed them, and this way even if your project doesn’t quite live up to your profit expectations, your backers will feel like they’re getting an experience that can mean more than any dollar amount. Do you have artwork for your project? Get a poster size print, place it in a frame and sign that bad boy. Give the backer a visual of what they put their money up for. Have a one night only special premier for your backers to see their hard earned money on the big screen. Put down a red carpet and offer free popcorn. Only offer this incentive if your backers donate big cash. There is nothing like seeing your name in the credits once the credits roll. Could be a great pickup line for your novice backer who just wants to support your dream. But don’t offer too many of these coveted slots, otherwise you risk watering down this reward. An Executive Producer credit is not only a cute token of your appreciation but it can start someone’s career in producing movies. And since this is a top-level credit, it’s best if you only allow one-to-three backers to obtain this incentive. I think you’re just about ready to get started. Now, all you have to do is choose a project that you believe in; find the right crowdfunding sites; and think of creative and realistic incentives to give away to donors. Once you have all of your ducks in a row, the clock starts: ready, set, fund!